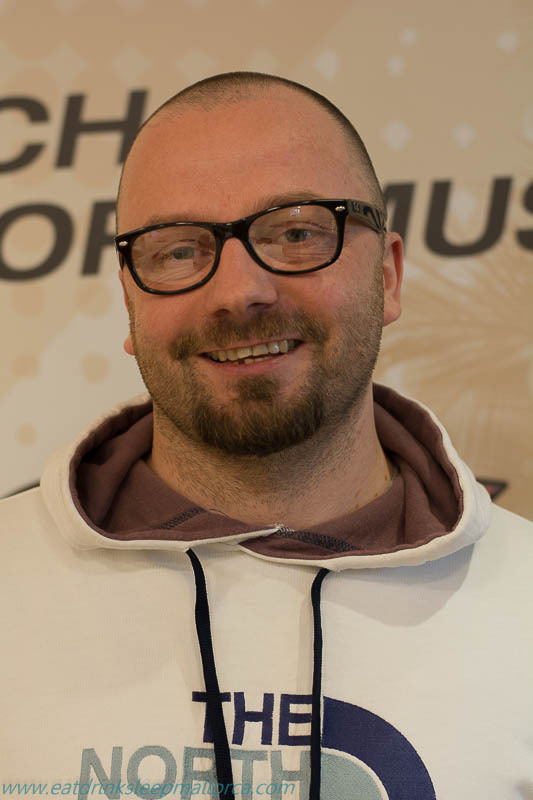 Since this post was written, Simon Petutschnig has moved on; he is now the group chef for two Palma restaurants – The Lab and The Kitchen. Both are highly recommended! When Simon Petutschnig from Austria became executive chef of the new 5-star Sant Francesc Hotel Singular in Palma, Mallorca’s capital, he probably didn’t imagine that – before the hotel had been open even one year – he would be pictured on the front cover of a glossy new cookbook on sale around the world. Or that one of his recipes would be included within its pages. 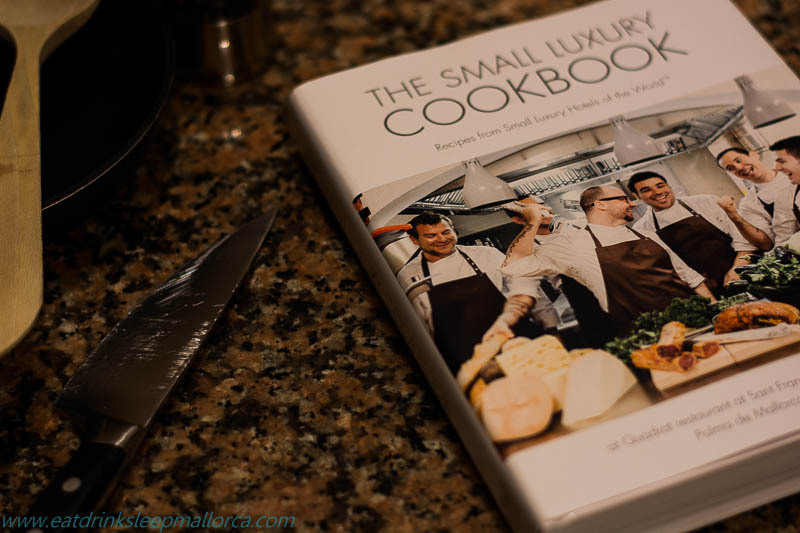 The Small Luxury Cookbook has just been published by the consortium Small Luxury Hotels of the World, which has more than 520 hotels in 80 countries around the world. Around 220 of these hotels have recipes in the cookbook which, surprisingly, took only about four months to produce. Simon’s recipe in the book is for steamed rock mussels with aroma of citrus and herb butter (for four people). Because I was due to record an interview with Simon this week for a radio programme, I felt it important to try his recipe (even though I’m a bit squeamish about cooking mussels), so I whipped up this little number at home on Saturday night – and it was a triumph. Each recipe is illustrated with a photograph . . . always good to know what the dish you are slaving over is supposed to look like! Sadly, I didn’t have such an attractive pan as the one pictured in the book . . .
Photographs for the dishes were provided by participating hotels and Sant Francesc Hotel Singular commissioned Barcelona-based photographer Vera Lair. Her fun photo of Simon and his brigade graces the cover of the book – an honour for Simon, his team, the hotel and its restaurant Quadrat. Recipes in the cookbook include vegetarian, seafood, meats, desserts, and baking. SLH’s CEO, Filip Boyen – a former chef himself – says: “The beauty of the Small Luxury Cookbook is that just like our hotels it offers something for everyone, whether they are an occasional, an aspiring or a proficient chef, while serving as a reminder that small, independent hotels also offer standout culinary offerings that can significantly add to the experience of staying there.” All recipes come with step-by-step instructions, as well as alternative suggestions for any hard-to-source ingredients. Africa, The Americas, Asia and the Pacific, and Europe and the near east are all represented in the book. And two Mallorca hotels are featured. As well as the Sant Francesc Hotel Singular, there’s a recipe from the Gran Hotel Son Net in Puigpunyent (although the chef who provided it is no longer there). Participating Small Luxury Hotels are each selling copies of the book, with a bespoke dust jacket showing a photo of their own hotel’s dish. The copies on sale at Sant Francesc Hotel Singular and from the website www.slhcookbook.com all feature Simon and his Quadrat restaurant kitchen brigade on the cover. Simon – out of uniform – and ready for radio! 2017 NOTE: Simon Petutschnig left Sant Francesc Hotel Singular to become group chef for the Palma restaurants The Kitchen and pop-up restaurant The Lab (which has now ‘popped down’).